Angela Merkel (pictured) is under more pressure over her refugee policy after it was revealed migrants committed 142,500 crimes in Germany during the first six months of 2016. The statistics emerged against a backdrop of rising tensions over Merkel’s liberal refugee policies. 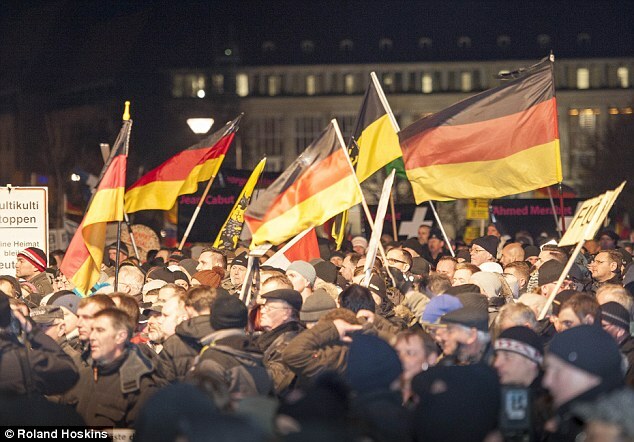 In October, thousands of protesters massed in the eastern German city of Dresden to mark the second anniversary of the anti-migrant and Islamophobic movement Pegida (file picture). You mean you are incapable of reading the name Germany’s Federal Criminal Police Office or follow the link of the original article at Gatestone Institute? Talk about idiot. Mad Merkel and her muslims. Perhaps if she was gang raped a couple of times she would think differently. What is it about German chancellors and the wish to destroy Europe? Though not directly related to this article, I read one today about Muslim’s attacking Hindus in Bangladesh, for the most insane of reasons … unquestionably the most judgmental and hate filled groups on earth are Islamic. This reminds me of the tales of Ali Baba and the 40 Thieves, cutthroats, thieves, rapists, murderers … Merkel went against what she said herself in 2010 that ‘multiculturalism is a fraud’ and evidently a very dangerous fraud at that. Many of these Muslims just disappeared somewhere in the wood work, and likely these are minor crimes compared to what they may well be planning. ISIS bragged that it intended to have Islamists penetrate to the heart of Europe and to carry out attacks in its name, which has already happened in France and Germany. 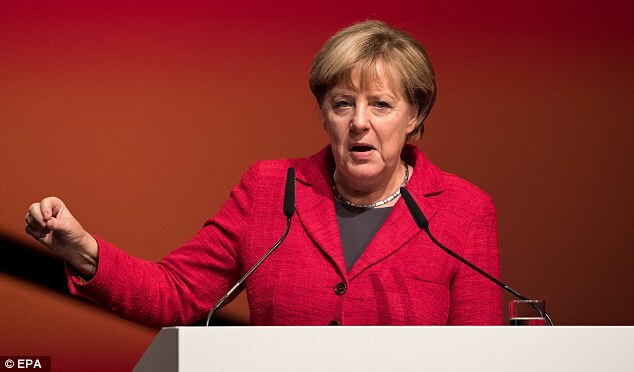 Merkel also has admitted that a key reason these ‘migrants’ were allowed in was a fear that Germany’s companies were lacking workers, so rather than doing something logical, like inviting in other Europeans from countries in Europe where unemployment is very high, they bring illiterate, savage people who have no regard for European laws and culture. Its much more-german press reported more than one time that the police has order to let them go if they only steal or using the train without a ticket.Why?Because they have no passport and no money,so the chance to get money from them is nearly 0. Also different police officers say the statistics are a joke and a lie(for decades).